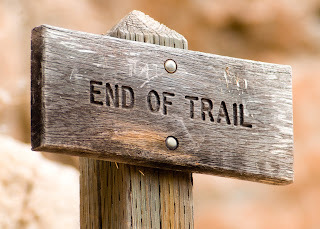 As is the case with most things in life, there comes a time when we reach the end of the trail. When we realize the time has come to move on. When dreams, opportunity, or the promise of an exciting new adventure beckon us down a different path. Although grateful for the road well traveled, like the pioneers and adventurers of yesteryear, we all want to explore new paths or see what lies beyond that distant mountain - real or imaginary. And so the time has come for me to saddle up and leave Sweethearts of the West. Today will be my final post on this site. The first post I wrote for this blog was called Texas: A Whole Other Country back when the Sweethearts blog first began. Over the years I have shared my love of history, some personal history, and a great deal of historical research about the American West necessary for book projects. Through investigative research, writing, and period photography, I wanted to dig deep and not only address what life was like back then, but the people and events that shaped the West. 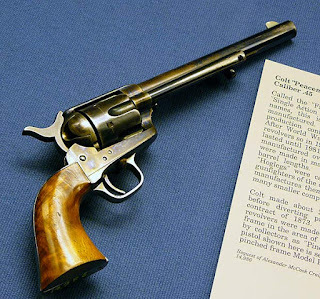 From Pinkerton Detectives, the Pony Express, Deadly Medicine in the American West, Duels and Gunfights (including the aftermath and legal consequences behind the famous Gunfight at the O.K. Corral) to Buffalo Hunters, the American Wild Horse, the History of the Texas Rangers, and The Comanche - Master Horsemen of the American West, I hoped to share with you my love for history, Country, and the West. There have been biographical profiles about famous western film or television heroes such as John Wayne, Roy (King of the Cowboys) Rogers, and the legendary Will Rogers, as well as artists such as Frederic Remington. 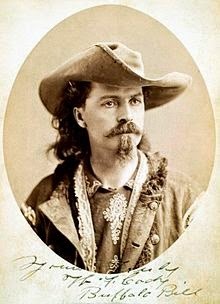 Some of my favorite profiles were about historical figures such as Davy Crockett, Buffalo Bill Cody [Pictured in 1875], Chief Sitting Bull, Chief Quanah Parker, Clara Barton, Luke (King of the Gamblers) Short, US Marshal Bat Masterson and western authors Bret Harte and Laura Ingalls Wilder. Events from history included The Louisiana Purchase, the Alamo, the Battle at Wounded Knee, and the Battle of the Rosebud . Inventions that helped shape our Nation were also addressed, from The Concord Coach (the first stagecoach that traveled across the western frontier), to one man's pioneering mail delivery service during the Gold Rush, and the arrival of train travel and the innovative Pullman Rail Cars. 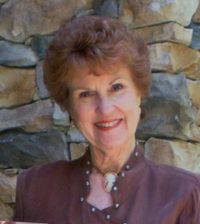 All in all, it has been a privilege to join the talented authors here at Sweethearts of the West, and to share my interest in history of the American West and my extensive research on subjects for their authentic inclusion in my books. Because these posts involved hours of individual, in-depth historical research for inclusion in my book(s), they will no longer be available on this site. I will, however, be publishing them as a complimentary companion piece for readers of my western books, as well as make them available as a collective of my western historical research for history buffs or western writers. 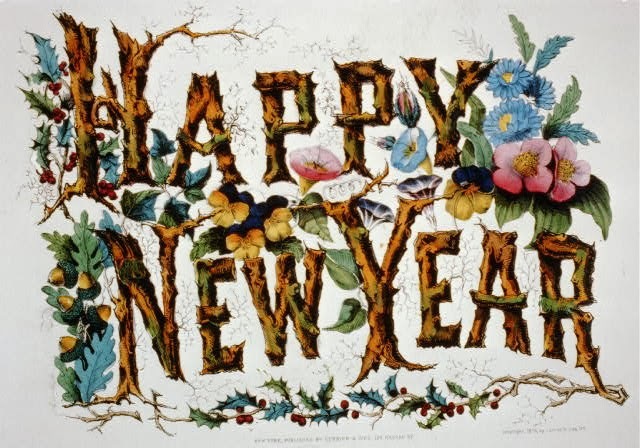 In closing, it has been an honor to be a Charter member of this blog, and I wish to thank all the ladies (past and present) of Sweethearts of the West for their friendship, support, and encouragement. Most of all, I want to thank ALL the many people (truly throughout the world) who have faithfully followed my posts each month over the years, many of whom take the time to contact me and even ask for research help. I hope you will continue to do so on my personal blog at www.ashleykathbilsky.com. 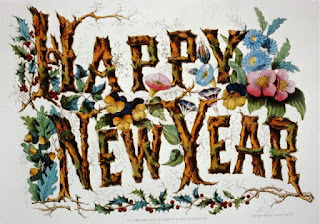 Again, thank you and I hope the New Year will bring health, happiness, prosperity, and wonderful adventures for all of you. Why does the subject of mail order brides hold such an attraction for us as readers and as authors? Maybe we wonder if we could take such a chance. What would make a woman leave everything familiar to her and travel to “parts unknown” to marry a man she knew nothing about? What’s scarier than online dating? Being a mail-order bride! Once they’d made the commitment to leave their homes behind—much to the consternation of many family members and friends, in some cases, I would imagine—the die was cast. Livia J. Washburn, Celia Yeary, Jacquie Rogers and I decided we would write a boxed set of stories about four sisters--the Remington sisters--who were going to be virtually "sold" by their stepfather into loveless marriages for his benefit. After overhearing these plans--what could they do? A woman would have to be certain in her own mind that what she was going to was better than what she was leaving behind. She would have to be resourceful enough to plan some kind of “exit strategy” if things didn’t work out. And I suppose, many times, women resigned themselves to the fact that they would become a soiled dove—the lowest of the low—in order to survive. 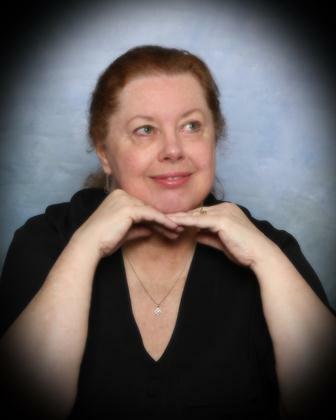 In spite of all the scenarios we might come up with for a mail-order bride to leave the life she had known behind her for something completely foreign to her, there are, I’m sure, many that we never could have even contemplated. For each story is personal, intimate, and heart-rending in its own right. But our intrepid sisters come up with a scheme to get themselves to safety--and anything would be better than what their stepfather has planned for them--of that, they are certain. 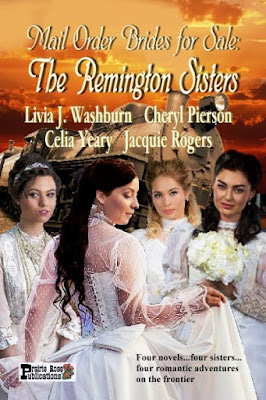 Belle Remington must marry someone before the dangerous Neville Fenster catches up with her. She hightails it out of Philadelphia to the wilds of Idaho Territory to become a bootmaker's bride, but when she arrives in Oreana, she discovers her groom has been murdered! Now, handsome, inebriated rancher Cord Callahan insists on fulfilling the marriage contract himself. Belle is beautiful and smart as a whip. But she has a secret. When Fenster shows up, can Cord protect the woman he wants to love forever? “I’d—I’d like an explanation,” she said frostily. “No, thank you. I’ll stand.” Her voice was prim, proper, and as icy as a frozen pond in January. “No. I don’t intend to. You’ve deceived me. You’ve made me feel…foolish.” She let out a deep breath. With it went some of her anger. “I trusted you, C-Cameron.” It was still hard to think of him as “Cameron” rather than “Robert”—and it was going to take some getting used to. Sabrina’s eyes were wide, and she felt the blood drain from her face. He hadn’t said “if”—he’d said “when”. He believed they were coming. It had been in the back of her mind, ever since she’d boarded the stage west, but to hear it voiced by Cam… Still, he didn’t really even know the full circumstances of her leaving Philadelphia…he couldn’t be sure she’d be followed. “You believe they’ll follow…for certain.” She shuddered. 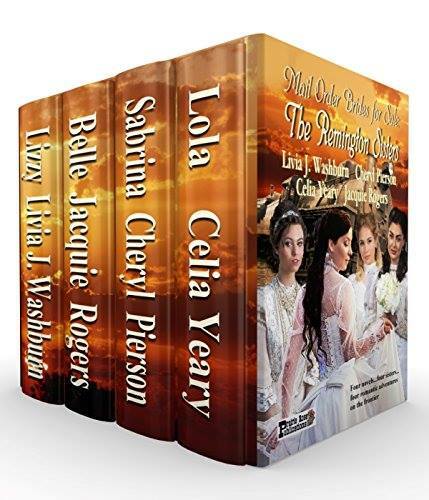 Would you have what it takes to be a mail-order bride in the old west? I’m not sure I would, but it’s fun to think about--and write about. Leave me a comment to be entered to win a digital copy of MAIL ORDER BRIDES FOR SALE: THE REMINGTON SISTERS! If you just can't wait to see if you won, here's the link! WHO WANTS TO HUNT TREASURE? 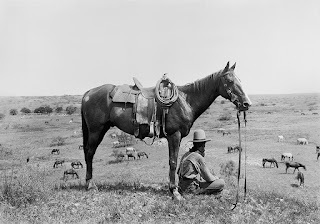 Stories about the old Goodnight and Chisholm Trails have so dominated the writings of Western Americana that many have forgotten that the first great Texas cattle drives ended up at New Orleans rather than Abilene or Dodge City, Kansas. Known as the Opelousas Trail, enterprising men took advantage of the thousands of longhorn cattle, unbranded and roaming. In Texas and Mexico, the cattle were worthless. Across the Sabine in the United States, they were worth upwards of a dollar a head. 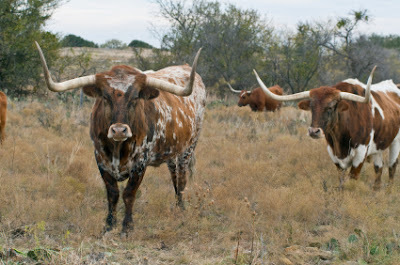 At the time in 1825, it was illegal to drive longhorn cattle to Louisiana. That didn’t stop men seeking their fortune. 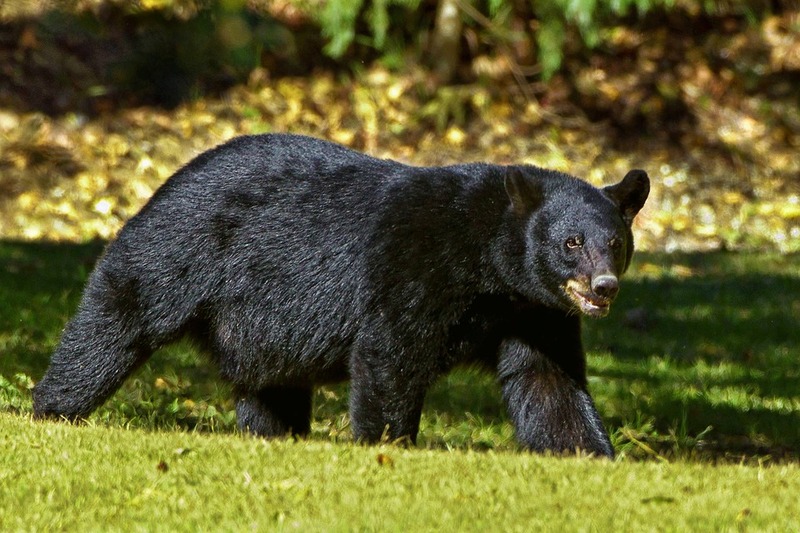 Don't be fooled by East Texas' beautiful flowers and abundant greenery. More dangerous than the black bears, the alligators lurking in the bayous and rivers, the panthers waiting to spring--this is a story that rivals Alfred Hitchcock's tale of the Bates Motel in the movie "Psycho". This is an account of danger faced by those returning from New Orleans after selling cattle. Thomas Denman Yocum was born in 1796 in Kentucky to Jesse Ray Yoakum and Diana How Denton. From birth, Thomas learned theft and deceit. He was a veteran of the American Revolution. Joining his father, he and his brothers rode with John Murrell then struck out on their own. 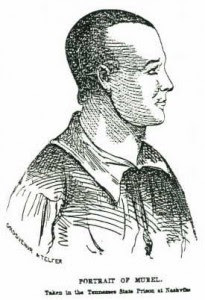 Jesse was tried for murder several times in Natchitoches, Louisiana. He was suspected of bribing witnesses and jurors but was never convicted. After being forcefully “invited” to leave Louisiana, Thomas Yocum and his family crossed the Sabine River and settled on a Mexican land grant on Pine Island Bayou, the south boundary of the Big Thicket of Southeast Texas, around 1830. Having acquired some wealth and affluence by 1835, the killer and slave stealer became more selective with his victims. He and his family built Yocum’s Inn in Jefferson County, Texas. This part of Texas was then a virgin, sparsely-settled region of prairies, pine barrens, and thickets. Any settler living within ten miles was considered a neighbor. 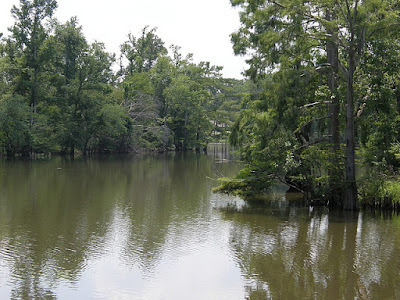 The deep, navigable stream, 100 feet wide and 75 miles long, was a tributary of the Neches River and had already attracted ten or more pioneers who also held land grants from the Mexican government. Thomas Yocum’s Inn was a combination saloon and lodging house between Beaumont and Sour Lake and stood on the Opelousas cattle trail between Texas and Louisiana. This was not a Holiday Inn or Motel 6. More than likely it was a rough log building with only a few rooms for lodgers. Yocum reportedly rode out at the first sound of the herds heading east and invited the drovers to quench their thirst and satisfy their hunger at the Inn. The well-treated travelers spread word of the genial host’s hospitality. When they returned with money belts filled after selling their cattle, they once more stopped at Yocum’s Inn. Big mistake, as they were never seen again. Instead, the Yocum’s stock of fine horses grew. Did no one notice this? Perhaps they did and feared voicing their concern. Exactly how many people the Yocum’s robbed and murdered is open to guess. No one knows. The popularity of Yocum's Inn spread far and wide. Yocum soon became the postmaster of Pine Island settlement under the old Texas Republic, supervised the local elections, served on juries, and was widely respected by his neighbors and travelers alike. Yocum was a slave-stealer, one who stole slaves from owners or captured those on the underground railway and sold them to others. He acquired many slaves for himself and much land, and by 1839 his herd of l500 head of cattle was the fourth largest in Jefferson County. While other settlers rode the wiry Creole, or mustang-size ponies of a type common to Southwest Louisiana, Yocum's stable of thirty horses were stock of the finest American breeds, and his family drove about in an elegant carriage. A gentleman's life, however, held no attraction for Yocum, a man who literally was nursed from the cradle on murder and rapine. For many years, Yocum's Inn was actually a den of robbers and killers. What is the most startling is the fact that Yocum was able to camouflage his activities for more than a decade, maintaining an aura of respectability while simultaneously committing the worst of villainies, with a murderous band of cutthroats unequaled in the history of East Texas. How Yocum could accomplish this since he used no alias, is unexplainable, for he, his brothers, his father, and his sons were known from Texas to Mississippi as killers, slave-stealers, and robbers. If any neighbor not a member of the gang suspected that something at Yocum's Inn was amiss, he kept silent. One account, written by Philip Paxton in 1853, observed that Yocum, "knowing the advantages of a good character at home, soon by his liberality, apparent good humor, and obliging disposition, succeeded in ingratiating himself with the few settlers." In October 1841, the Yocum’s downfall occurred. A well-dressed man stopped at the inn and asked directions. Thomas agreed to ride with him and show him the way. Thomas returned leading the man’s fine horse. Another potential victim staying at the hotel overheard the conversation and went for the Regulators, an illegal but active vigilante group. The posse went to Yocum’s Inn, ordered him and his family to pack up and quit the country, and then torched the building. Shortly after the Yocums left, an elderly man who’d been a witness to some of the goings on at Yocum’s Inn showed the posse the bones of other victims. According to Paxton, the Regulators found the bones of victims in Yocum's well, in the neighboring thickets, in the "alligator slough," and even out on the prairie. The Regulator posse set out after the Yocums. A day or so later they caught up with the family. No longer willing to trust a Yocum's fate to the whims of any jury, the vigilantes shot Yocum through the heart. In addition, they may have killed other members of his family. Almost from the date of T. D. Yocum's death, legends began to circulate concerning the murderer's hoard of stolen treasure, because the vigilantes knew that neither the robber nor any member of his family had had time to excavate it before they were driven from the county. Some of them thought that only Yocum and one of his slaves actually knew where the loot was hidden. For years treasure hunters dug holes along the banks of Cotton and Byrd Creeks. 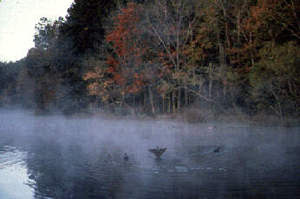 Decades later sinks and mounds in the Pine Island vicinity were said to be the remains of those excavations. My husband, who I call Hero, is an avid fisherman. 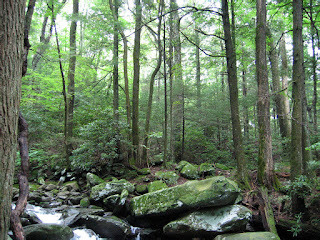 He and I have visited these waters on fishing trips. There are many species of fish to be caught, but the waters are eerie and mysterious and abound with alligators and cottonmouth moccasin. I found the place disturbing, and that was before I'd heard of the Yocums. If anyone ever found the Yocum's treasure, that fact was never made public. One writer claims it is still there awaiting the shovel that strikes it first. At least the Thomas Yocum family can no longer waylay travelers. 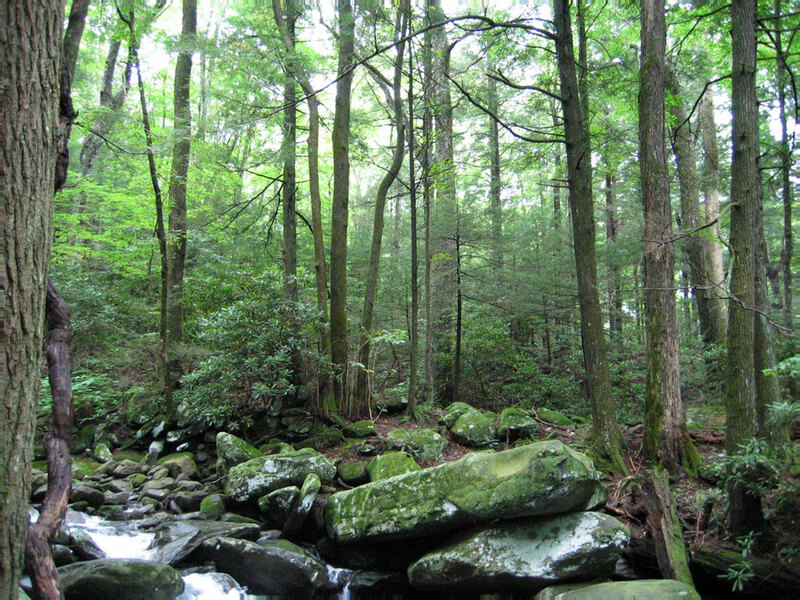 But, who knows what other danger lurks in these dark waters and thick woods? 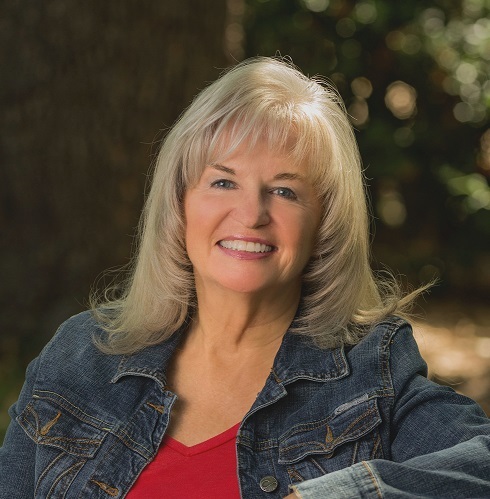 Caroline Clemmons is the award-winning and Amazon bestselling author of over 40 novels and novellas of contemporary and historical western romance. 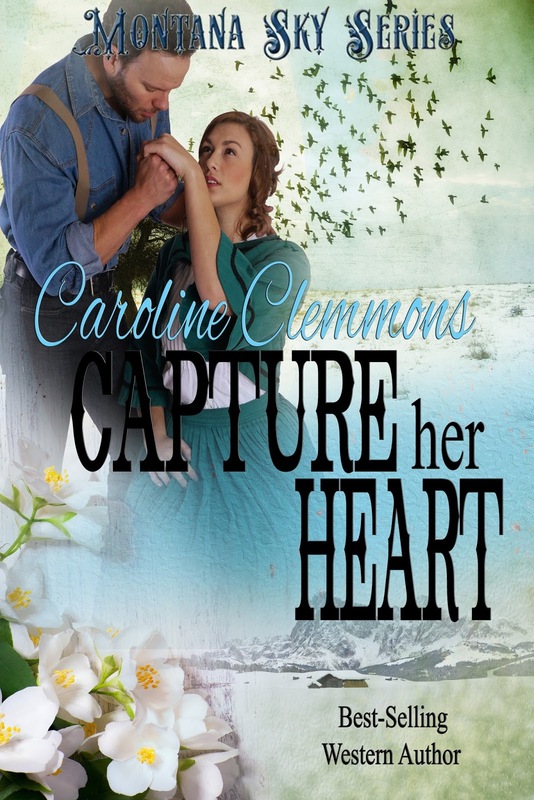 Her latest is CAPTURE HER HEART, Loving a Rancher Series 6 of the Montana Skies Series for Kindle World. 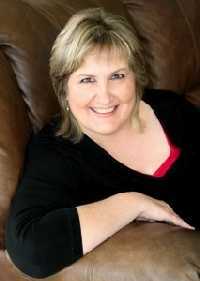 You can find CAPTURE HER HEART and her other titles at her Amazon Author Page here. Sign up for her newsletter here to be notified of new releases, contests, and other events and receive a FREE novella, HAPPY IS THE BRIDE. I wrote The Perfect Gift, A Texas Devlins Christmas for an anthology that is no longer available. Now it's a stand-alone novella on Amazon. Today, I will share an excerpt showing how I imagine a family gathering in 1885. I hope y'all enjoy! Nora Taylor adores Vittorio Medina. He’s been her best friend all of her young life, but now she wants more than friendship from him. She’s too young, he insists while fighting his own growing feelings for her. Besides, she is the boss’s daughter. He’s just a poor cowboy of Mexican blood. They can never be together. Although Nora refuses to accept what Vittorio says, she’s afraid he will go off and marry someone else before she is old enough to fight for his love . . . until a special gift offers hope. Jessie Devlin Taylor stepped back to admire the dining room table she and her twelve-year-old daughter Nora had just finished arranging. Everything was in place, ready for dinner to be served. Her good china, crystal and silverware gleamed, and a centerpiece of cedar bows decked with red ribbon stood out against the white linen tablecloth. On the nearby sideboard, her cherished Christmas angel oversaw several serving pieces waiting to be filled. About ten inches tall, with a gown of ivory, a delicately painted face, golden hair and wings, the porcelain angel was one of Jessie’s most prized possessions. Her mother Nora had brought it all the way from Ireland, stuffed in her bundle of clothing, the only thing left of her former life. Jessie’s father had saved the precious keepsake when they fled the terrible Chicago fire that destroyed most of the city. He’d presented it to her after moving to Texas to be near his children and grandchildren. “Doesn’t everything look beautiful, Mama?” Nora said. “It does indeed.” Slipping an arm around her tall, gangly daughter, Jessie gave her a light squeeze. She wished her sister Rose, brother-in-law Jack and their brood of little ones could be here, but Rosie was expecting again – this would make five children for them – and Jack had insisted they stay home. Considering how rough the ride was by buckboard from their Red River cotton plantation, Jessie conceded he’d been right. She released Nora. “I’d best go see if all’s ready out back.” Her cook, Maria Medina, was roasting venison and turkeys in the cookhouse, while Jessie’s sister-in-law Lil prepared side dishes in the kitchen. Their food preparations were nearly complete. She just wanted to make sure David and Tye, her husband and brother, had finished setting up tables for the twenty-odd ranch hands from their adjoining spreads. They would soon gather in the courtyard behind the house for their Christmas meal. “Quiet the little ones before they upset your grandda, aye?” she said, hearing children’s shrieks from the parlor. “Yes, ma’am.” Nora’s reply came with a sigh and an impatient frown. Jessie smothered a laugh. She knew Nora wanted to go out front and wait for Lil’s parents to arrive with their ranch hands. One hand in particular. While Nora hurried across the hall to put a stop to the noise, Jessie headed for the back door. Stepping out onto the walled, flagstone-paved courtyard, she was glad to see two long tables stretching back almost to the cookhouse. Currently, David and Tye were spreading white sheets across the tables they had constructed out of wooden planks supported by sawhorses. More planks lay across barrels and crates along both sides of the tables, improvised seating for the ranch hands. Fortunately, the day was warm, or the men would have to eat in the bunkhouse, not nearly as festive. David looked up, saw her and smiled. Leaving Tye to finish spreading the last cloth, he sauntered toward her. Even after all this time his dark-haired, handsome looks and long-legged gait made her heart beat faster. The new red shirt she’d gifted him with this very morning along with the black silk bandana knotted at his throat, both cut and sewn by her own two hands, fit well and showed off his deep tan and dark hair to perfection, if she did say so herself. “Well, darlin’? Does it pass muster?” he asked, draping his arm across her shoulders and hugging her to his side. He cut her off by pulling her into his arms and sealing her lips with a lusty kiss that flooded her with warm tingles all the way to her toes. When he lifted his head, she sighed in regret. “You look beautiful in that blue dress,” he murmured next to her ear. “I’m glad ye like it. You picked out the material,” she said, feeling faintly dazed. “’Tis velvet,” she said in a breathy whisper, delighting in his sensual touch. “Mmm. Tonight, I’ll enjoy taking it off you, very slowly.” Smoky green eyes dancing, he grinned wickedly when she caught her breath, planted a quick kiss on her temple, then stepped away and went to do her bidding. Jessie required a moment to collect her wits. Then, glancing at her brother, she met his leering grin and felt her face heat with a blush. “What are ye looking at, brother dear? He is my husband. He’s allowed to kiss me if he wishes.” She smoothed the skirt of her gown, thinking of David’s bold promise for tonight, and made sure the pins holding her auburn hair in a coil at the back of her head were still secure. Tye’s vibrant blue eyes glinted mischievously. “I’ve no argument with that. I was merely enjoying the show and admiring the man’s ability to shut ye up, sister mine.” An even wider grin split his devilishly handsome features. “Oh, is that right?” she huffed Slamming her hands onto her hips, she narrowed her own eyes, eyes the same color as his. “Keep talkin’, boyo, and I’ll pull your black Irish hair out by the roots.” Of course it was an empty threat, as he very well knew. She loved her big brother far too much to ever do him harm. Although, she wouldn’t mind boxing his ears from time to time. Making a disgusted noise, Jessie shook her head and batted her hand at him as if swatting away a fly. Then she marched across the courtyard, heels clicking on the flagstones, toward the cookhouse where Maria worked to find out when the meats would be done roasting. Her stomach grumbled and her mouth watered at the delicious aroma wafting from the small stone building. All she’d eaten for breakfast was a slice of bread and butter, and that was hours ago. Dinner couldn’t come soon enough for her. Nora stood on the front porch watching for riders. Goshdarn! What was taking Mr. and Mrs. Crawford so long? Uncle Tye and Auntie Lil had come early to help Mama and Daddy get ready. Lil’s parents were to come later with their men, but surely they ought to be here by now. What if something had happened to prevent them from coming? No! Don’t even think that! They have to come, they just have to! Smoothing the front of her Mother Hubbard, a short, baggy little girl’s dress she hated, she wished for a grown-up gown, but Mama had decreed she couldn’t start dressing like a woman until she turned fourteen. At least this Hubbard was made of pretty pink calico printed with sprigs of white flowers, and she liked the ruffled shoulders and neck. 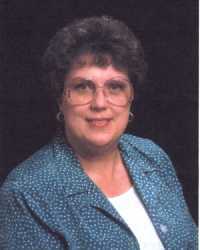 The color set off her black hair, which Mama had helped her put up, and her black stockings and high tops. She hoped Vito would approve. She stuffed her hands into deep side pocket and glanced at her brothers and cousins. She’d shooed the four boys outside so Grandda Seamus could nap in his favorite chair in the parlor. Together with Maria’s younger children, they were playing ring taw, a game she’d once loved but now considered babyish. Crouched around a circle drawn in the dirt, they took turns shooting marbles, trying to knock each other’s marbles out of a small inner circle. Her brother Reece, less than two years younger than her, was winning judging by the pile of marbles he’d collected. Not surprised, Nora scowled, remembering how many marbles the little fiend had won from her and their baby brother Seamus in the past. A faint thudding sound caught her ear. Shading her eyes, she spotted a cloud of dust in the distance. Then she made out a buckboard and horsemen. Finally! The expected company was almost here. Heart thumping wildly, she whirled and ran inside to alert her parents. Aunt Lil stepped out of the kitchen holding a large bowl and spoon just as Mama walked in the back door. “Are they here?” both women asked. Nora was already dashing for the courtyard. 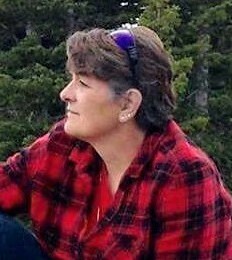 “The Crawfords are almost here,” she announced to her father and uncle as she raced toward the cookhouse. “What’s your hurry?” her father called. “Sí, I heard you, niña,” the cook said with a broad smile. 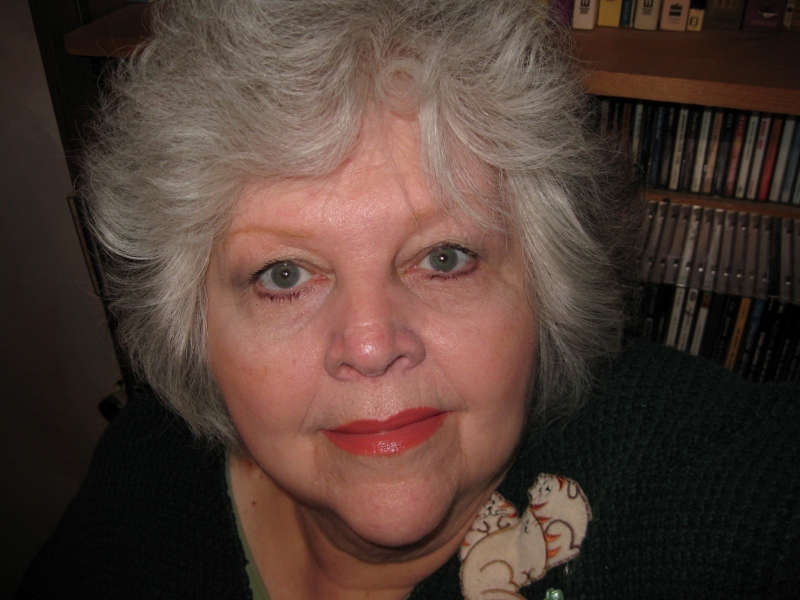 Tall and rather plump, with gray-streaked black hair, Maria was one of Nora’s favorite people. 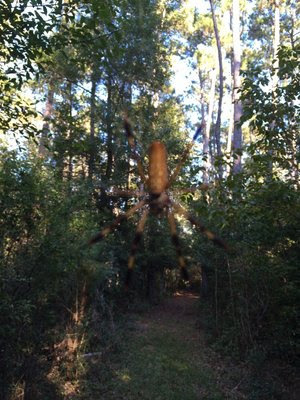 She was kind and good-natured and always ready with a tasty snack for all the children. And she was Vittorio’s madrecita, making her special. By the time they joined everyone out front, Auntie Lil’s folks were pulling up in their buckboard followed by several riders. Nora had eyes for only one, a slim young cowboy with dusky skin and raven hair. Drawing rein, he gave her a bright smile, a smile she had seldom seen since he’d gone to work as a wrangler for the Crawfords and Uncle Tye a few months ago. Four years older than she was, Vittorio had been her best friend all her life. She watched him dismount and greet his younger siblings who danced around him like eager puppies. Then it was her turn. Bounding down the porch steps, she launched herself at him. He laughed and caught her, lifting her off the ground in a tight hug. “I suppose I have missed you a little bit too.” He winked and whirled her around, making her squeal and laugh with joy. Caught up in him, she paid not a lick of attention to laughter and teasing remarks from their audience of cowboys, family and friends. “Aye, and always will be,” Jessie said under her breath. She’d seen the pair together in a time to come, and her visions never lied. If not for one very special vision, none of this would be happening. 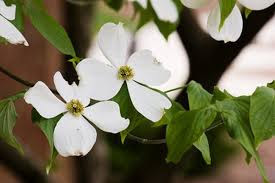 She never would have met David, Tye wouldn’t have crossed paths with his Texas cowgirl, Lil Crawford, and Rose might be a shy, convent- bred spinster living in Chicago instead of wed to Choctaw Jack Lafarge. As if sensing her thoughts, David turned his head and caught her eye. She gave him a misty smile; he grinned and tilted his head toward Nora and Vittorio. Assailed by guilt, Jessie wondered how he’d like seeing the two wrapped in each other’s arms if he knew what her vision predicted. Happy Holidays, one and all! See you in 2018. 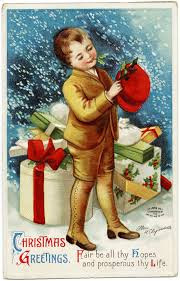 Kissing under the mistletoe is a Christmas tradition that‘s been around for as long as I can remember. The obligatory kiss could be the start of something positively wonderful. Of course, mistletoe had to be avoided at all costs if someone you found obnoxious or repugnant seemed determined to get you under that poisonous greenery. 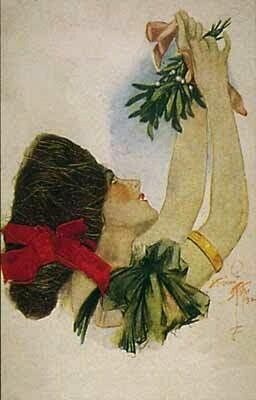 Way back in the misty beginnings of human culture, some groups of people believed mistletoe had magical properties that had to do with fertility, vivaciousness, some people thought it an aphrodisiac. I’m wondering why humans came up with love remedies with the most contrary or repulsive things like raw oysters and now mistletoe to get their game on. No one ever said humans were all that logical though so let me proceed. The ancient Druids were among the first to attach a tradition with mistletoe. They believed mistletoe, especially the rare species that lived high in the branches of oak trees, must have sacred powers including healing powers, protection against nightmares, and could even assist in the prediction of the future. 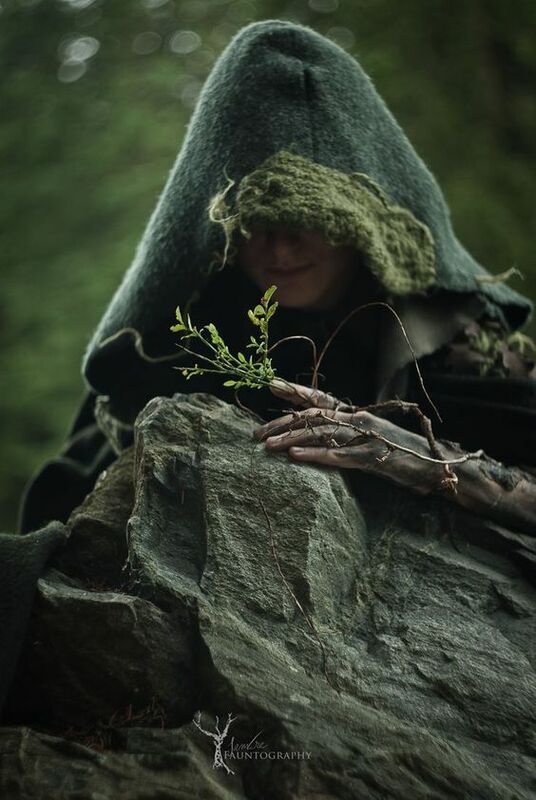 So, the Druids collected the toxic plant during the summer and winter solstices. They even decorated their houses with it at Christmastime even though they, of course, were not Christian. Kissing under the mistletoe started in ancient Greece during the festival of Saturnalia and, later, it was used in marriage ceremonies since mistletoe was associated with fertility. The Romans would reconcile their differences with their enemies of war under mistletoe and would decorate their houses with it in midwinter to please their gods. I guess you can see where we’re going with the history of mistletoe toward our present day tradition. There is also a Nordic myth involving mistletoe that provides even more clues into the evolution of mistletoe as a kissing plant. Mistletoe was the sacred plant of the Nordic goddess of love, Frigga. 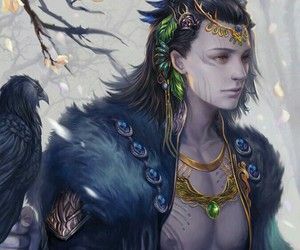 Loki, the god of mischief (I’ve seen enough Thor movies to get what our friend Loki was capable of) shot Frigga’s son with a spear or an arrow which some say was made from mistletoe. 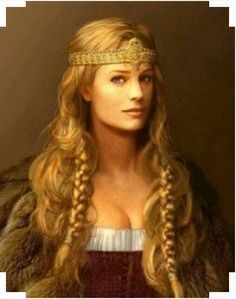 Frigga was able to revive her son under the mistletoe tree and, afterward, decreed anyone who stands under the mistletoe tree deserves not only protection, but a kiss as well. 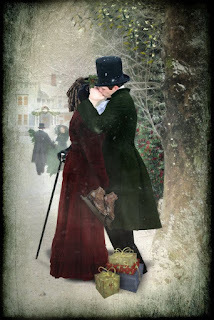 Naturally, the Victorians in England considered kissing under the mistletoe serious business. If a man’s kiss was refused, the girl was doomed not to receive any marriage proposals for the next year and many people would even snub their noses at her and make comments abut her ending up an old maid. Isn’t it funny how men always come up with something that is advantageous only for them? Some gentlemen would ask a kiss for each berry they plucked, but I think this is just a way to take advantage of those straight-laced Victorian ladies. 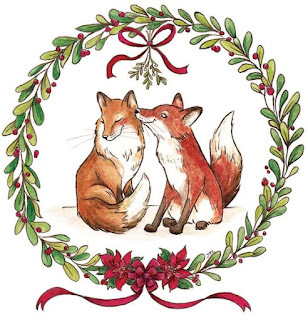 Anyway, today we keep the whole kissing under the mistletoe a bit more lighthearted. The couple gets one kiss if they find themselves under the mistletoe whether by design or by accident. A final note…keep in mind that the mistletoe berries are poisonous and not for human consumption unless you want stomach cramps and vomiting. I wonder if birds eat those berries. If they don’t, how do they know those berries are poisonous? CAN THEY HANDLE BECOMING INSTANT PARENTS TO TWO ORPHANED CHILDREN? 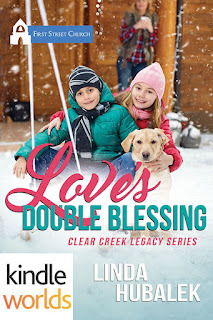 In Love's Blessing: A Clear Creek Legacy, widow Jenna McDowell, and medically discharged soldier Riel (Gabriel) Shepard meet at his grandfather's Cooper Ranch near Sweet Grove, Texas. They both came to the ranch to heal from their individual heartbreaks. Time and help from their family and pastor finds them healing, falling in love, and ready to marry each other. 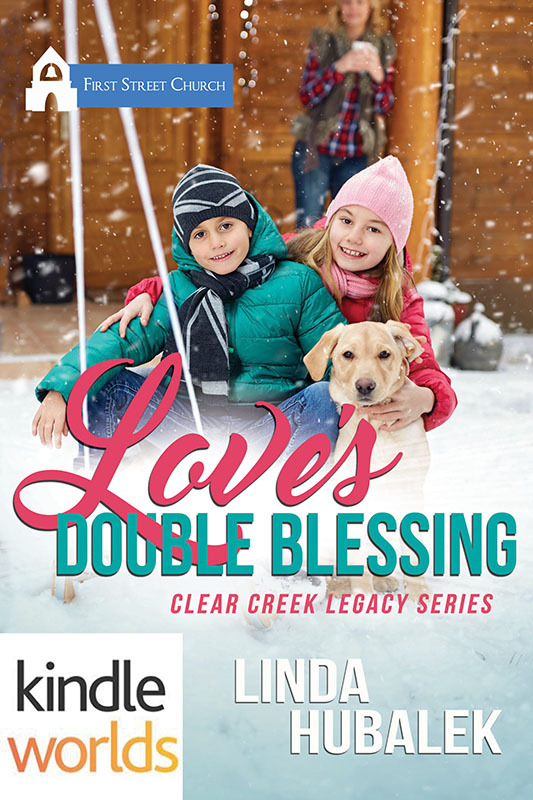 In Love's Double Blessing, the sequel to Love's Blessing, as Jenna and Riel plan their December wedding and remodel an old ranch house, their lives are instantly changed by a call from the Dallas police. Jenna's friends die in an auto accident and she's named the guardian of their children, six-year-old Amie, and four-year-old RJ. Because of Riel's PTSD, caused by a military accident in Afghanistan which involved a child's death, Jenna doesn't believe Riel can handle an instant family. She calls off the wedding, so Riel doesn't have to raise the children. But Riel bonds with the children and wants to be their new father. Can Riel convince Jenna to marry him? Doesn't this situation count as a "for better or worse" their pastor had been counseling them about? WHAT HAPPENED TO ORPHANED CHILDREN IN THE 1800S? Even though Love's Double Blessing was a contemporary story, I couldn't help but wonder what happened to orphaned children in rural America in the 1800s. I assume children were taken in by family members, neighbors, or sent to an orphanage in a city if no one stepped forward to help. In some cases, older children struggled to make a living and keep the young children within their family. Except for the kindness of neighbors and the community, orphaned children were on their own. Even though our modern-day system has some flaws, I'm sure glad children have people and resources to help them. If you're blessed with the Christmas spirit this year, I hope you can share it with a child less fortunate. Then it would be a "double" blessing, for you, and for them. 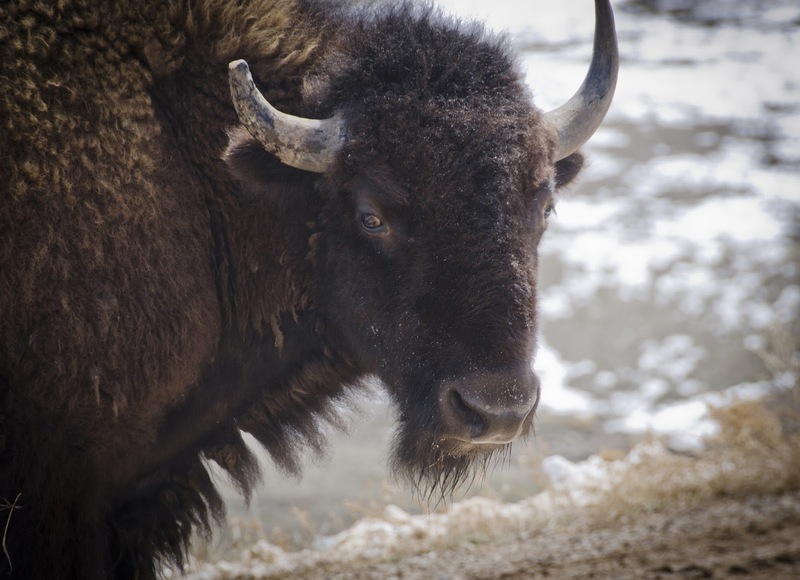 Happy Holidays from the Kansas prairie! Golden Keys Parsons was my critique partner, a dear friend, and teacher. She was taken from her family and friends in February 2017 in a car accident on I-35 in Waco, Texas. The Gift of the Inn was her last book, and I'd like to share it with the readers of Sweethearts of the West. Despite her best efforts to go through the motions and the good fortune to have a husband stationed stateside rather than in the midst of the brutal combat unfolding in Europe and the Pacific, Christmas Eve is a less than festive time for innkeeper Naomi Lockhart. 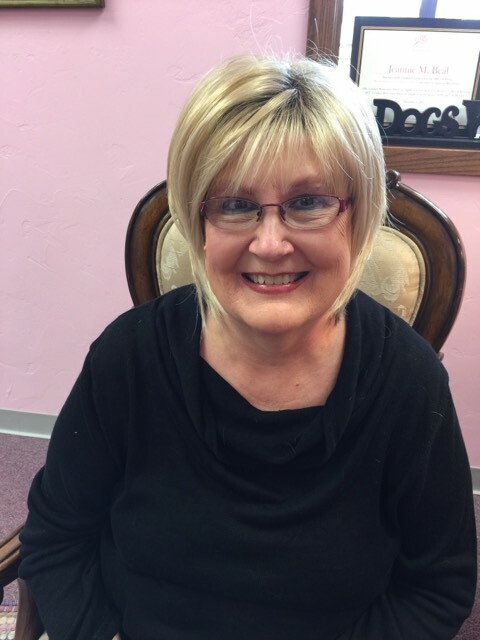 It's been especially hard since she, her husband, Quenton, and their daughters restored her parents' Colorado boarding house and turned it into a charming inn. 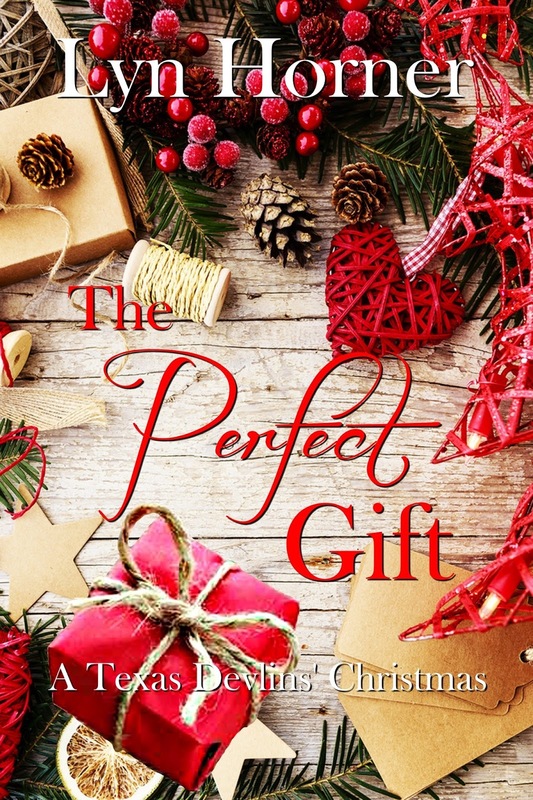 Residing in the setting of the tragedy and haunted by a heartbreaking and terrible loss, Naomi can't help but relive the Christmas Eve so many years ago when her infant child disappeared without a trace. Gracie brushed aside comments about how little she resembled her parents for most of her life without really understanding why they made her feel so odd. A slip of the tongue by her grandmother brings the discovery that the people who raised her are not her birth parents and acts as a catalyst for the start of a search for her real identity. After a whirlwind romance with a young, Europe-bound GI and subsequent elopement in defiance of her affluent, traditional parents, Gracie flees Texas for Colorado, following one of the few clues that she has about her real identity. She finds herself alone and working as a waitress in blizzard-prone Colorado Springs, Colorado at the end of her pregnancy. Snow bound, she struggles to bring her child into the world as she becomes ever more confident that the innkeeper from across the road, who acts as a midwife of necessity, may hold the answers she seeks. Meanwhile, her wounded husband desperately tries to reach her side. Set against the backdrop of the Second World War, this final novel from beloved writer Golden Keyes Parsons is an engaging story of love, loss and reunion. My thoughts on this book. I love this book! Yes, Golden was my good friend, but The Gift of the Inn also endeared me to a different time in life and our history. Like myself, Golden lived in the post WWII years and grew up with many of the same experiences as those detailed in the book. Golden's characters and descriptions drew me in, and I was in my childhood again trying to walk against the deep and blowing snow while we were in Stephenville, Newfoundland. Being a Texan, I recognized the San Antonio streets and landmarks where Gracie and her friends gathered. Golden's research for this book is top notch. I learned so much about bombardiers, the conditions during flight, and how the French resistance helped American soldiers trapped behind enemy lines. I highly recommend this book. 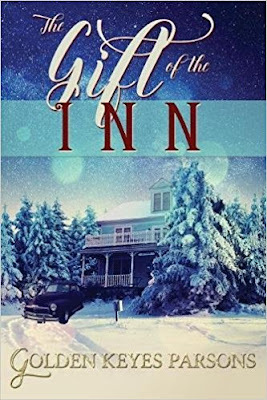 Drawing: Friday evening I will pick a winner from the comments to receive an e-copy of The Gift of the Inn. To be eligible leave a comment with your email address or just your email address.